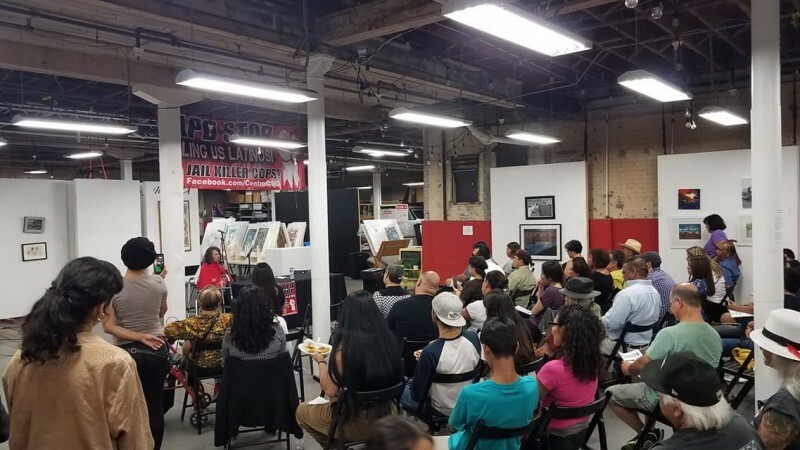 Gloria Arellanes headlines at commemoration of Chicano Moratorium | Fight Back! Gloria Arellanes speaking at commemoration of Chicano Moratorium. Gloria Arellanes speaking at commemoration of Chicano Moratorium. When the East LA Chicano Student Blowouts/Walkouts of 1968 happened, Arellanes was already a full-fledged militant, serving as the first female Minister of Finance and Administration of the Brown Berets. During this time police, the FBI’s J. Edgar Hoover and President Nixon saw the Brown Berets as a dangerous organization. Arellanes would go on to participate in the Poor People’s Campaign during the summer of 1968, in Washington D.C., where she marched alongside New Mexico-based Crusade for Justice leader Corky Gonzales, as well as many East LA Chicano activists like Carlos Montes. Additionally, Arellanes helped build for the now famous Chicano Moratorium of August 29, 1970, after helping with the first one of December 1969. “I had left the Brown Berets in 1970 around that time and joined the Chicano Moratorium Committee,” said Arellanes. After the Chicano Moratorium repressive measures would be taken by the government to violently destroy the Chicano movement with Infiltrators and agent provocateurs. The Boyle Hight’s commemoration of the 48th anniversary of the Chicano Moratorium included many of the original members of the Chicano Moratorium Committee. Arellanes continues to organize, working with Centro CSO and Black Lives Matter: Los Angeles to demand Los Angeles District Attorney Jackie Lacey prosecute killer cops. Arellanes is proof that the fight for self-determination and liberation is never over. With a growing resurgence of the newest generations returning to Chicanismo, Chicano elders are encouraged to join in the fight once again.